Fluoride is a naturally existing mineral that is commonly present is most public water supplies across the globe. Fluoridation is the process of adding and adjusting one part fluoride to one million parts water. Over the course of the last 50 years, fluoridation has repeatedly been proven to be a safe and extremely effective means of reducing the risk of tooth decay. Water fluoridation mainly works by supplying the teeth with low-levels of fluoride throughout the day. And even now, when there are fluoride-formulated dental products, water fluoridation still accounts for reducing both the frequency and severity of dental decay to approximately 25%. Back the in the 1930s dental experts first noted that both the occurrence and severity of dental decay was significantly lower among people who are exposed to tap water supply that contains elevated levels of natural fluoride. Major research and extensive studies soon followed these findings. 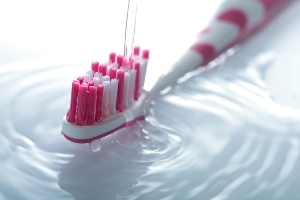 Dental experts were then able to prove that fluoride has the natural ability to breakdown plaque build-up, which are noted to be the most common culprit for tooth decay. It is in 1945 in Grand Rapids Michigan that fluoride was first deliberately added to the local water supply to prevent tooth decay and improve overall oral health. Since then, water fluoridation has been substantiated and supported by numerous scientific studies and comprehensive reviews. While exposing your teeth to fluoridated water helps prevent dental decay, making sure that you religiously practice good dental habits remain essential in keeping your teeth and gums free from any unwanted dental and periodontal anomalies. Moreover, seeking professional dental help best optimises the overall status of your oral health. Housing a friendly team of dedicated dental experts, Main Beach Dental provides the local Gold Coast community and its surrounding regions with a comprehensive range of general, cosmetic, and restorative dental procedures. Claim your FREE dental consultation by calling us at (07) 5503 1177.